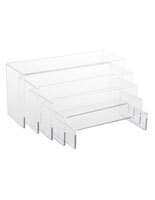 This acrylic square riser set is a great countertop store fixture to display merchandise. 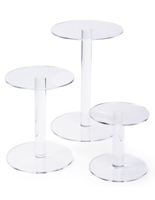 The batch of 3 sizes range in height from 4” to 8” in a tiered fashion. 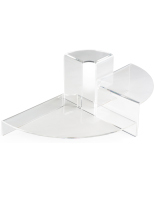 Arrange this countertop riser set however you seem fit to complete your store fixture display. 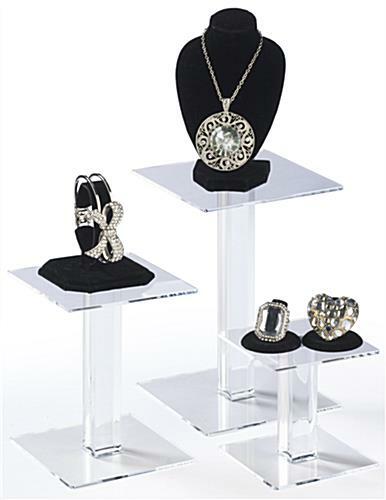 Raise precious, delicate, or expensive products above other merchandise on the varying sized pedestals. 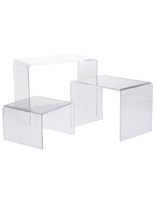 Constructed of clear plastic, this riser set complements any retail environment. 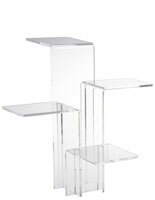 Showcase your best selling products on the tiered pedestals in 3 sizes! 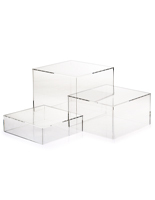 4.0" x 4.0" x 4.0"
4.8" x 6.0" x 4.8"
5.5" x 8.0" x 5.5"
I love the squaretiers. I just wish they were stronger/heavier/more sturdy. Hi Priscilla, Thank you for your helpful feedback! We hope you shop with us again soon. 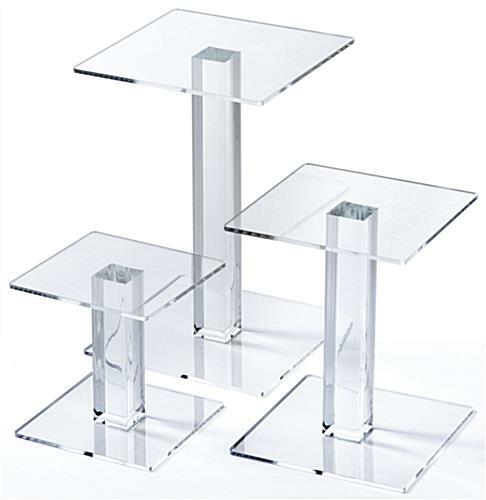 The acrylic risers have an attractive, modern design. 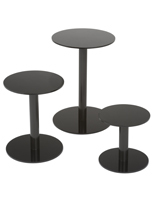 They will compliment the items on display. Very pleased with the purchase.